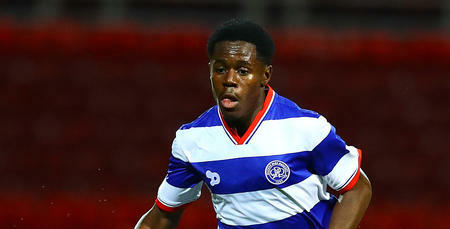 QPR came from behind to share the spoils with Birmingham City in W12. Both goals came in the first half of a contest that the hosts could well have won. Visitors Birmingham took the lead in the 23rd minute, as Lukas Jutkiewicz touched the Blues in front. Rangers then responded through Steven Caulker 16 minutes later, and saved their best spell until the second half. 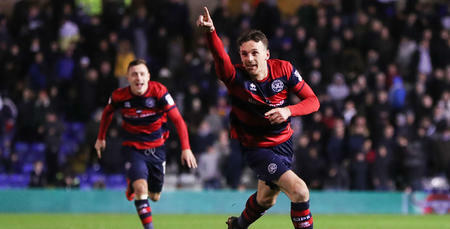 However, there were no further goals after the interval at Loftus Road, with the R’s not quite able to break down a City side still beaten only once in the league this season. Jimmy Floyd Hasselbaink made numerous changes to his QPR side ahead of Wednesday night’s home EFL Cup defeat to Sunderland. But this time around, there were just two from the team fielded for our last league encounter at Huddersfield Town. Both Ariel Borysiuk and Idrissa Sylla were handed their full league debuts, replacing Karl Henry and Conor Washington, who dropped down to the bench. In a tight opening, Jordan Cousins spurned a fine opportunity to put the hosts in front in the eighth minute. The midfielder latched on to Sylla’s knockdown, advancing into the penalty area before shooting past the post. However, it must be said that Birmingham goalkeeper Adam Legzdins did well to narrow the angle after racing off his line. Cousins’ luck was firmly out when he was forced off with injury in the 16th minute. Recent signing Pawel Wszolek came on in his place. Rangers’ goal led a charmed life in the 22nd minute. First goalie Alex Smithies pulled off a fine reaction save to thwart Jutkiewicz, then skipper Nedum Onuoha cleared off the line to deny a loitering Jacques Maghoma. But the visitors took the lead just a minute later. Maghoma’s cross from the left was nodded back across goal by Blues captain Michael Morrison, before an unmarked Jutkiewicz headed the ball across the line at close range. The R’s levelled matters six minutes before half-time. Just like the opening goal, QPR’s equaliser came following a headed attempt. Tjaronn Chery’s right-flank corner was met by Caulker, who nodded low beyond Legzdins. The visitors should have regained the lead on the stroke of half-time. Both involved in Birmingham’s first goal, Maghoma fed Morrison from a corner, who somehow fired over at point-blank distance. Rangers went close themselves five minutes after the break. Wszolek broke free down the right before pulling the ball back to Chery, whose 10-yard attempt was blocked away by Morrison. From the resultant corner, meanwhile, Chery’s right-wing cross was headed just over by Caulker. It took until the hour mark for the next opportunity to arrive, as Wszolek and Chery combined once more. The former did well to win back possession before feeding Chery in the box, whose next low effort – albeit from an acute angle – was kept out by Legzdins. Hasselbaink made a second R’s change in the 65th minute, replacing a midfielder with a striker. Olamide Shodipo made way for Seb Polter. It was a substitution that almost paid dividends instantly. Polter’s flick-on to Sylla saw the latter show excellent strength in the penalty area, before his subsequent low attempt was caught by Legzdins. Rangers ramped things up after that. 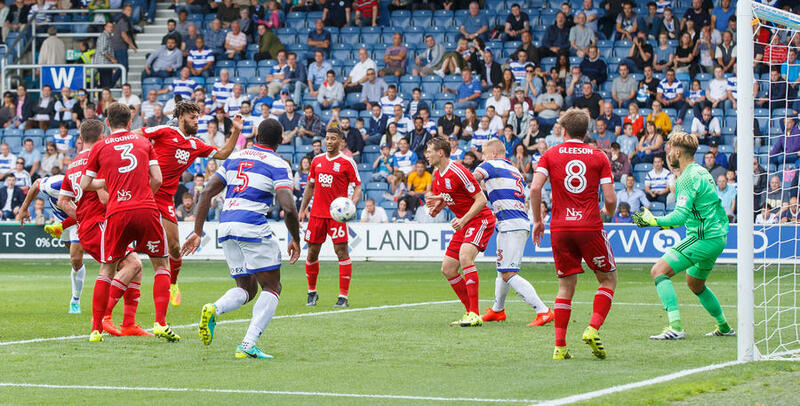 Come the 70-minute mark, QPR were now enjoying their best spell of the game. Could they complete the comeback with a winning goal? Fourteen minutes from time, Sylla touched a long throw on to Mass Luongo, who shot straight at Legzdins. Then four minutes later, Onuoha blasted over following Jake Bidwell’s free-kick into the box. As the clocked ticked down, Rangers’ Borysiuk also let fly from range in the 87th minute. Legzdins saved smartly. Three minutes of added time were subsequently signalled, and the R’s almost won it at the death. Bidwell’s hanging cross from the left was met by Sylla at the back post, who got above his marker - but headed over. That proved to be the very-last chance, as the contest ended with a goal apiece. 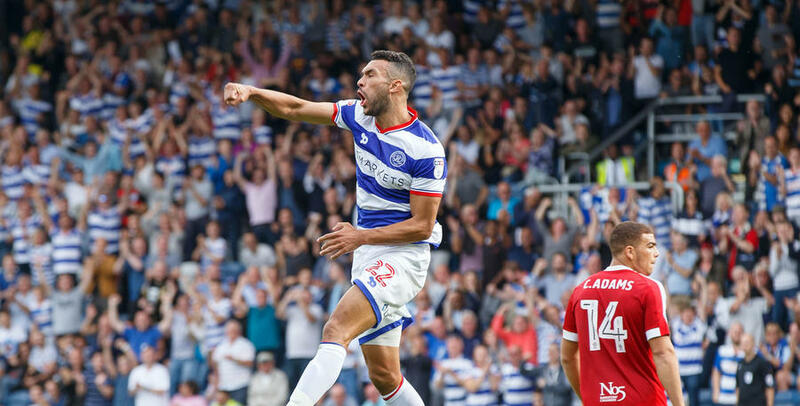 RELIVE the action from Loftus Road on Saturday, 24th September 2016.